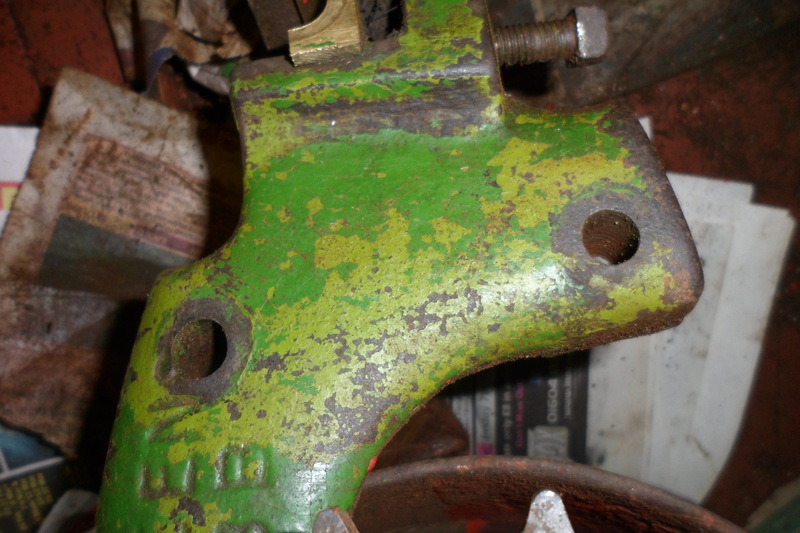 Home › Uncategorized › Silens Messor Mower Restoration. Cont. 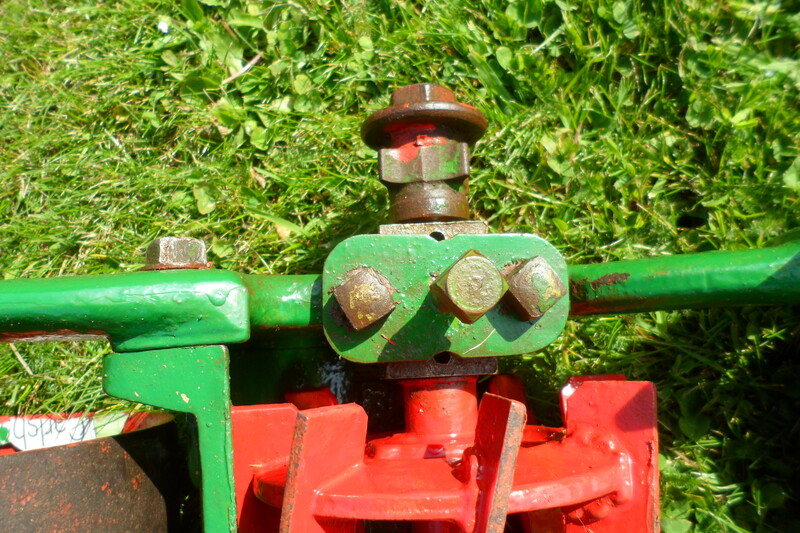 I have mostly completed the restoration of my Greens ‘Silens Messor’ lawn mower. It has an 8 inch cut. The chain is still not fully flexible, even after a couple of months of soaking in diesel, but it is mostly free and clean. The metal has been painted with red lead and then given painted in ‘Ransome’s Green’, partly because it seems to have been painted that colour in the past, but also because I couldn’t find a match for the Gold-Green colour that it seems to have been painted in the past. The red is Hammerite smooth paint. There are at least tow different green paints that have been used on the mower in the past. 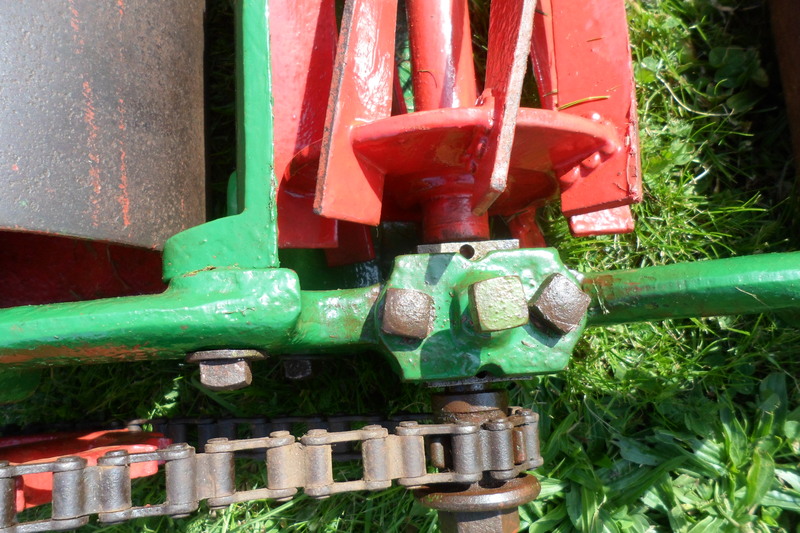 I could not undo the bolts to dismantle the cog side of the mower body, so that was painted in one piece. There is also a cog and ratchet inside of the roller. I have no idea why they are there as they seem to serve no useful purpose. The poor machine appears to have been treated badly and then repaired in a very botched manner as the back plate has been welded back together at some point and a large piece has been broken off and lost. The plates that secure the blades in place do not match either. The plates that secure the blades do not match. The mower no longer works and will be used for static displays. 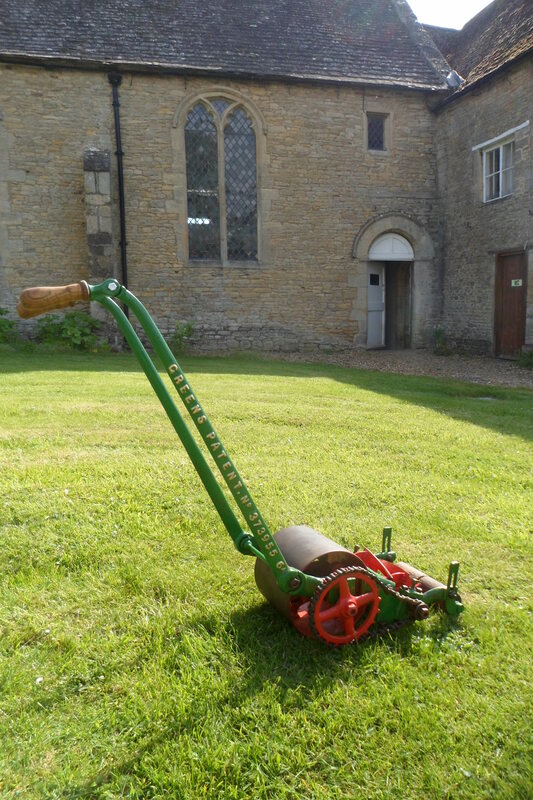 My special thanks go to Robert Manton, who gave me the mower to restore so that I can use it for my historic garden displays, see www.historicgardener.co.uk.